Novelist Zane Grey, standing, with a swordfish he caught in the South Seas, July 03, 1930. Apart from his family for long periods of time, Zane Grey was an avid sportsman. In July 1930, Grey caught what at the time was reputed to be world's largest great game fish ever taken on rod and reel caught. 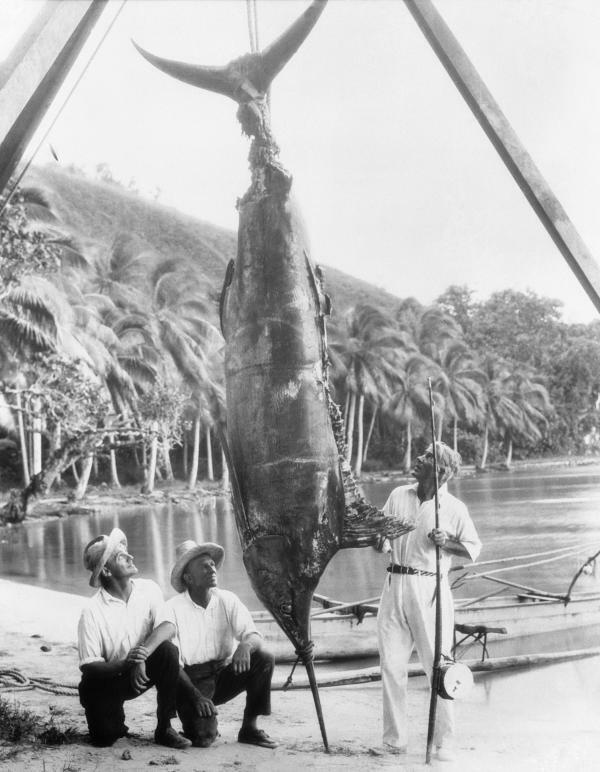 Nearly 15 feet long and close to 7 feet in girth, the “Giant Tahitian Striped Marlin,” as Grey called it, weighed 1,040 pounds even after sharks had bitten close to 200 pounds from its side and tail.